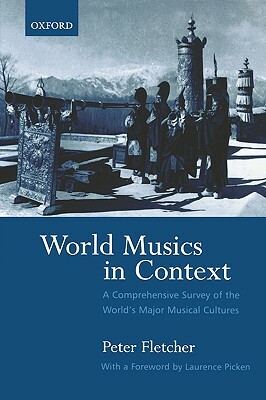 World Musics in Context is a wide-ranging survey of musics of the world, in their historical and social contexts, from ancient times to the present day. Ethnomusicologist Peter Fletcher begins by describing aspects of musical style and function in relation to the early developments of civilizations. He then goes on to explore, in five parts, music of the ancient world, music of Africa and Asia, European music, North and South American traditions, and music of the modern world. A compendium of information as well as an examination of musical causation and function, this book gives a deeper understanding of the various musical traditions that contribute to the modern, multicultural environment.